There are days that I just want to stay home and cook and clean the whole day :) and that day is today! I did all my laundry, some cleaning and a bit of sorting stuff from my wardrobe. Getting rid of some winter clothes. 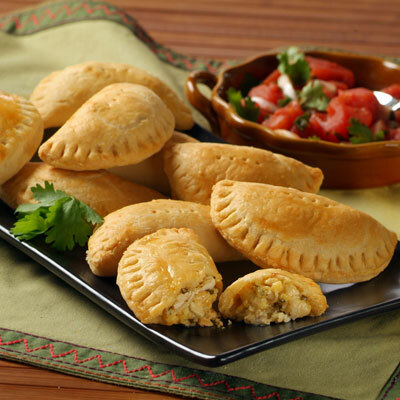 I am craving empanadas lately and they are not available to any filipino store anymore. I don't know what happen. Maybe the cook is on vacation:). So today I baked chicken and beef empanadas! I think the dough turned out good this time. If you love spring rolls, you will love it too. You can either deep fried it or baked it. I prefer to bake it rather than deep fried, it's less messy and dough are more flaky and soft. 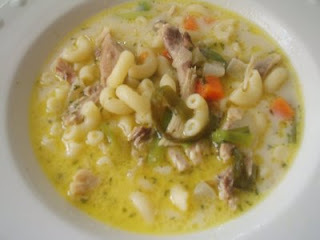 You will enjoy eating it with steaming hot macaroni soup. and the main dish, menudo with rice...yum! that completed a good supper! 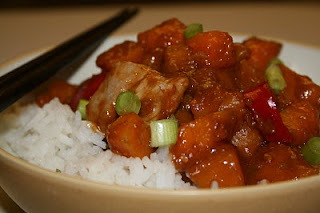 Menudo is consist of cube pork, potatoes, carrots, spring onions, garlic, red chilli pepper and snow peas. 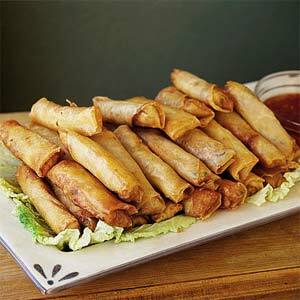 and Lumpiang Shanghai or Shanghai spring rolls . Leftovers are for the next few days. Have a good appetite . What's your supper today? haha, today I cooked new recipes ! I'm just in the mood to cook! Okay, I am now very hungry! Your dishes sound WONDERFUL! We are having Baked Sockeye Salmon, baked potatoes and green beans tonight for supper, it sounded good until I read this! (~;, no, I'm not that fickle.